Corporate Wellness Insights: Is the Time Change Affecting Productivity at Your Workplace? Is the Time Change Affecting Productivity at Your Workplace? How much time did you spend on Facebook today? What about Twitter? Pinterest? ESPN.com? Statistically speaking, today marks the start of the least productive work week of the year. The spring time change plus the early stages of March Madness have created an inescapable vortex sucking any and all productivity from the workplace. Tired employees perform poorly, succumb to distractions easily, and exhibit signs of extreme presenteeism. Sure, they might have made it into the office today, but odds are, there is more youtube’ing, facebook’ing, and gchatting than usual. 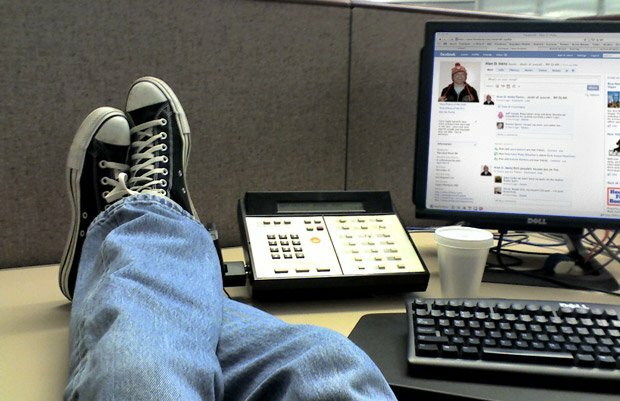 According to a recent Penn State study, cyberloafing is at an all time high today. How can you counteract this lethargy and keep workers alert and focused? Try rallying a group together and going for a lunchtime walk. The weather is improving every day and spring fever is definitely in the air. More than ever, employees need fresh air and some movement to clear their foggy brains. A productivity-boosting suggestion that’s guaranteed to be unpopular? 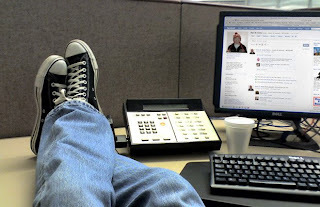 Ask employees to turn their computers so all screens are visible to others in the room. This public accountability should create an incentive for workers to get off the junk-sites and focus on spreadsheets. Encourage everyone to get rest tonight and start acclimating to the time difference. Hopefully, the extra post-work daylight will entice workers to fit in some exercise, or at the very least, help them avoid the TV for a few hours in favor of some time spent outdoors. How is the time change affecting you? An employee can work better if he "sharp his Axe after cutting every tree". Means they need some relax to work better. I do agree with this line that "Tired employees perform poorly". If they are tired then how can they perform better? A survey report says that if you take adequate rest then your performance would be better than the person who sleep less or take inadequate rest.